Posted in Uncategorized | Comments Off on It Is Here…..
Well, it’s been a while since we’ve posted a lodge report on our website. We got sidetracked with Facebook postings. Here is our first report for the 2013 season and it’s all good! First, let me say, if you can travel in the near future, call us or email right away! This appears to be one of those years that early-mid June is going to be fantastic and we have plenty of availability. We never know when a heavy, or late, spring runoff is going to have us blown out in early June, so we hold off on booking those dates. If we have an early runoff, like this year, not only do we have good water in early-mid June, but we usually have a great Salmon Fly hatch. The Salmon Flies should start coming off any day-and water flows and temps are perfect. Because of this recent development, we have started booking those early to mid June dates vigorously and wanted to give everyone a shot at it while it lasts. With the exception of a one room cancellation July 3-5, we have been booked solid from June 22th through July 19th for a long time. 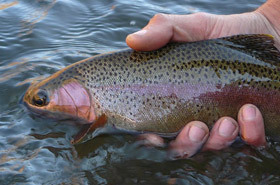 This early runoff has made for a fantastic fishing opportunity, right now. On other news, we had a very good April, with a good Skwala hatch, PMDs and Gray Drakes. The weather, for the most part, was pleasant. We did deal with some early runoff, but it didn’t keep our guests from putting big trout in the net. Most everyone who was out this April is coming back next year. 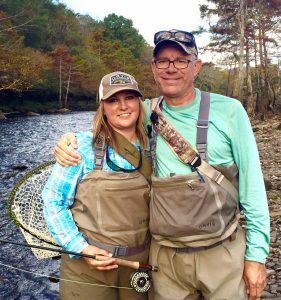 And, at the Orvis Guide Rendezvous in April, we were recognized as a finalist in the Orvis Fly Fishing Lodge of the Year competition. This is because of the support from all of you who have been our guests in the past. Thank you. We are ready for our summer season and looking forward to a fantastic year. We hope you will be joining us. Posted in Lodge News | Comments Off on The Season is Underway! Is Your Blue Damsel Trip Booked Yet? 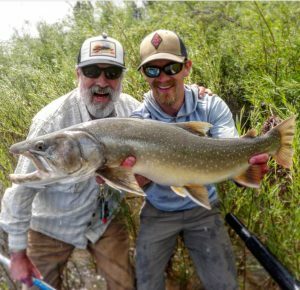 It is definately time to make your 2102 spring, summer and fall plans for a fly fishing trip to Western Montana’s Blue Damsel Lodge. The super bowl is over and spring is on the way. Snow pack looks good, but not crazy like last year. All systems are go and we are anticipating a very good fishing season. There is still a good bit of availability, but, the phone is ringing with guests selecting dates. If you’ve been here before, you know what a great trip to expect and we’d sure love to see you again. 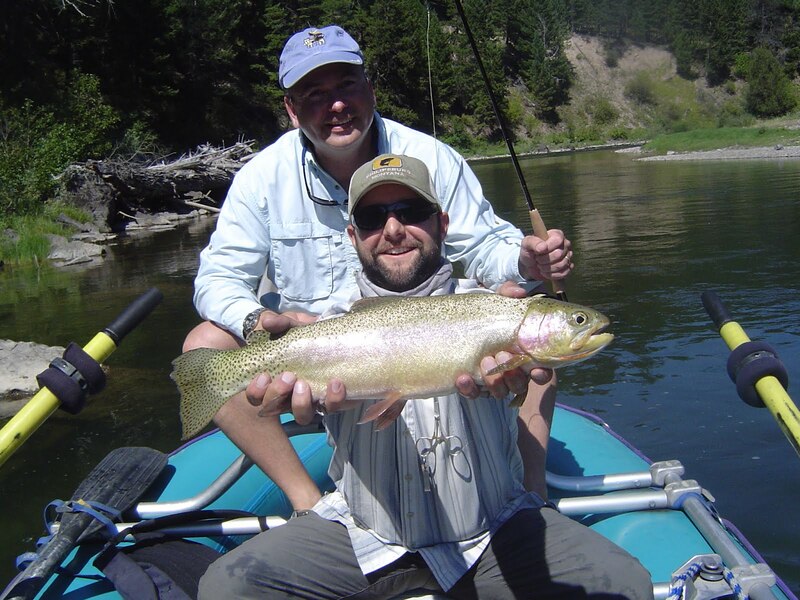 If you haven’t been yet, now is the time to get in touch and find out about available dates, fishing expectations and how simple it is to book maybe the best fly fishing trip of your life. You deserve a fly fishing adventure this summer and we suggest you take a few minutes to contact us about just that! As we roll into a great looking 2012, we are just reflecting on the past season. There are some great memories and photos of really good times, great food, good music, new friends, and wonderful fishing. We made some new friends and caught some great fish; We also lost some memorable fish and good friends and choose to fondly remember the missed fish, past days, and departed friends. We would like to share two links with you that remind us of the essence of 2011. The first was produced and directed by Craig Chiesa, who did a summer practicum with us as part of his program with the University of Montana. His friend, Thomas Caywood Vincent shot the video and put most of it together. Also, a special thanks to Bela Fleck and the Flecktones for the original sound track. The link will take you to the video on the vimeo site. This is only about a 2 minute video, but it is hi-def, on a hi-def site so it may take a while to download. To keep it from pausing, etc, just start it, hit pause and let it download before you watch it. It’s a really good little video that captures a lot of what the lodge and fishing is about. The second link is to a You tube video of “US”, the staff house band last season, aka, Maren Wing and the Rock Bottom Boys doing an impromptu cover of a Felice Brother’s tune that was one of our favorite of the season. It is also just about 2 minutes and downloads really fast. Enjoy and stay in touch. Still lots of good dates, but we are filling up fast for 2012. Hope to see you at the Blue Damsel this year. 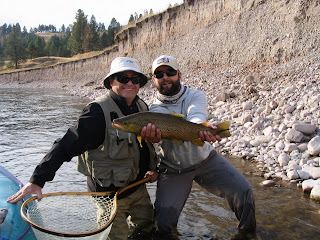 Here is a picture of Enrique, and guide Adam, with a very nice Blackfoot River brown trout. Enrique and Paul were our last guests of the 2011 season and they just left after spending a week fishing with us. Enrique caught this monster (really near to 2 foot of fish) on his second day. His fishing partner, Paul took the photo and shared it with us. Thanks to both of you for helping us put a good end to a good season. You are both world class sportsmen! We wanted to get this picture posted now, before we get busy with the end of season party and closing up for winter. Today brings our 2011 season to a close and we want to thank all our guests, staff, guides, friends, and trout for making this the best season yet! Soon we will post links to the awesome video Craig made and some you-tube video of the Blue Damsel Staff, aka “Maren Wing and the Rock Bottom Boys” doing our favorite tune of the season. But for now, we are done… Signing out for a while from the Blue Damsel Lodge. Keith’s going fishing!